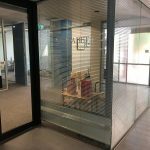 La Trobe University and the Victorian Department of Education have this year collaborated to run workshops across Victoria about learning difficulties including dyslexia. The workshops have been available to teachers and other Department of Education staff. 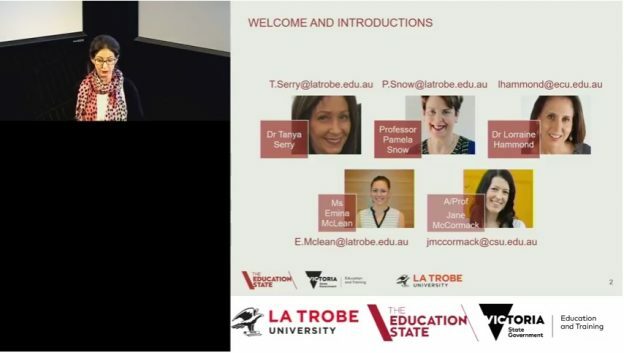 The information from these workshops is now being made available free online via YouTube as webinars. Wow. Amazingly generous of both the University and the Department, since most professional development of this type and quality is paywalled. So thanks to all involved. This entry was posted in blending and segmenting, books, consonants, curricula, literacy problems, research, reviews, sound-letter links, sounds, spellings, syllables, teaching strategies, theory, UK/US spellings, vowels, whole language, word attack on September 7, 2018 by alison. For a while I’ve been trying to think of a good way to represent individual sounds in words (phonemes) in a video. First I tried using my toy fruit and vegetables. These showed nicely that actual productions of a phoneme (allophones) can be slightly different. A cob of corn is still a cob of corn, whatever its size or shape. An /n/ sound is still /n/, no matter where it’s found in a word. 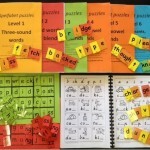 This entry was posted in blending and segmenting, consonants, phonics activities, sound-letter links, sounds, spellings, syllables and tagged blending, grapheme-phoneme correspondences, phoneme manipulation, phoneme-grapheme correspondences, phonemic awareness, phonological awareness, segmenting, sound-letter correspondences on July 27, 2018 by alison. A colleague has just pointed out a YouTube video which I think perfectly makes the point that a little bit of phonics knowledge can be a dangerous thing. It illustrates why we urgently need proper, linguistically accurate training for teachers and early literacy authors/publishers. 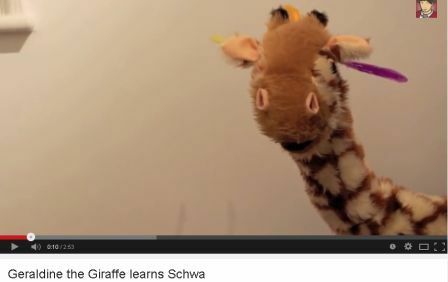 The video is called Geraldine the Giraffe learns schwa. It seems to be from the UK, and it is being shown to at least some Grade Prep children (5-6 year-olds) here in Melbourne. 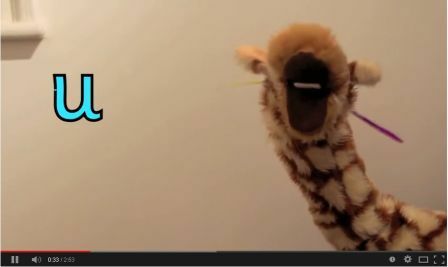 Geraldine the Giraffe is a puppet who, after some groovy music and a bit of chitchat, is told she will be learning about the “u” sound. 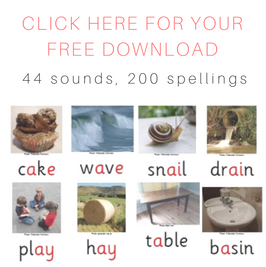 This entry was posted in phonics activities, reviews, sound-letter links, sounds, spellings, syllables, teaching strategies, vowels on October 20, 2014 by alison. 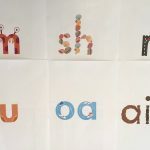 Dots are more subtle than hyphens or spaces, but help beginners to see the syllable boundaries, and know where to stop and blend each "mouthful" of the word. I don't ask learners to put these dots in themselves when writing/spelling, I just put them in new words for the first time a learner reads them. 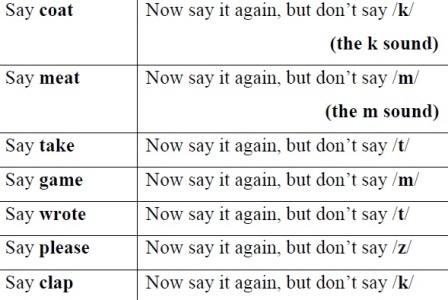 What makes multisyllable words harder? 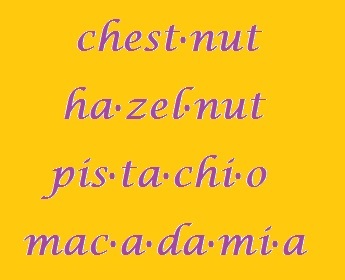 Work out whether any of the syllables are unstressed, by trying out different stress patterns. This entry was posted in hard words, sound-letter links, spellings, syllables, teaching strategies on April 24, 2013 by alison. 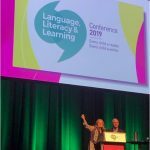 Dr Jerome Rosner’s Test of Auditory Analysis Skills has been around forever, and is a simple, quick, plain-English test of how well a child in the early years of schooling can hear the identity, order and number of syllables and sounds in words. 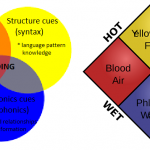 These skills are nowadays known as Phonological Awareness. A child’s Phonological Awareness is one of the strongest predictors of his or her literacy achievement. Who can use the TAAS, with whom, and how long does it take? 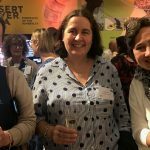 The Rosner TAAS is designed for use with children in the early years of schooling, so from about four or five – when children start to be able to grasp the idea that words are made of sounds – up till about age eight, though it can be used with older struggling learners too. It has 13 questions and takes about three minutes to administer. The instructions and scoring system are simple and straightforward, and there’s a table that shows you how many items you’d expect a child to get right at Kindergarten/Prep level and Grades 1, 2 and 3. It’s thus a handy screening tool for parents and teachers at this time of year, when everyone’s trying to work out who’s doing OK with early literacy, and who might need a bit of extra help. It can help bring possible difficulties with Phonological Awareness to your attention. You don’t need a PhD or special materials to administer the Rosner TAAS, and you can get it right now for $0 just by clicking here. This entry was posted in assessment, literacy problems, reviews, sound-letter links, sounds, syllables, word attack on February 21, 2013 by alison. One of the hardest things about spelling words with more than one syllable is managing the unstressed vowel (called “schwa” by linguists). The unstressed vowel is the little “uh” sound we say in “weak” syllables, like the “er” in “water”, the “ar” in “liar”, the “or” in “tractor” or the “a” in “China”. It can be spelt using just about any vowel spelling. If learners are introduced to long words too quickly, before they have grasped the major vowel spellings in one-syllable words, they can think that this vowel is an “u” sound as in “cut”. This can make them very confused about how to spell this sound, and how to spell long words generally, since this sound seems to be everywhere in long words. Another thing which can be really confusing when learning to spell words with more than one syllable is identifying syllable boundaries. A syllable can be just one letter, or it can be half a dozen or more. 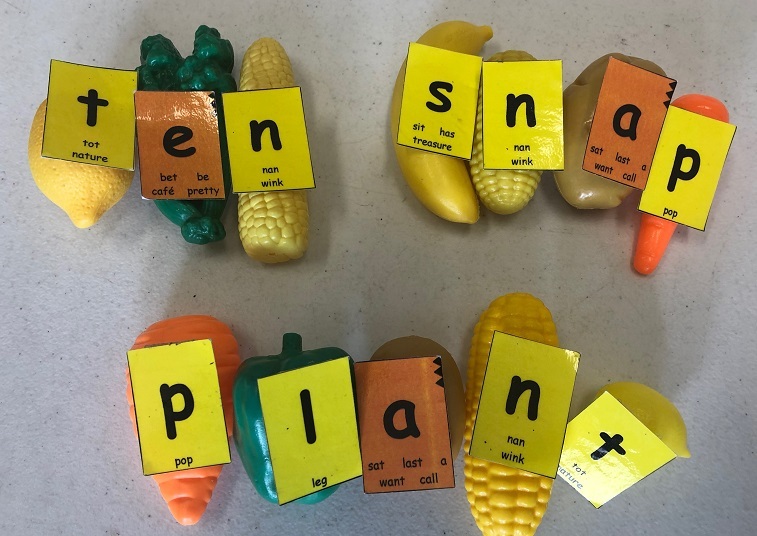 Learners need to familiarise themselves with which patterns indicate the end of a syllable, and how to munch their way through long words just one mouthful/syllable at a time, not try to swallow words whole. 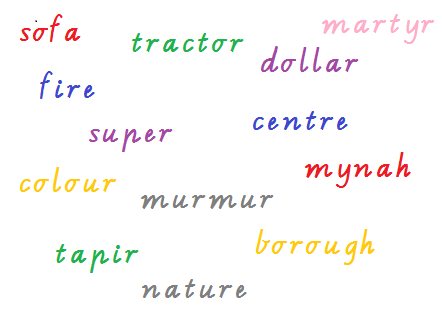 This entry was posted in blending and segmenting, hard words, phonics activities, sound-letter links, sounds, spellings, syllables on February 12, 2013 by alison. When teaching children to be aware of syllables in words, teachers and therapists often get children counting syllables by clapping or tapping them. It makes more sense to me to use hand puppets with movable mouths. 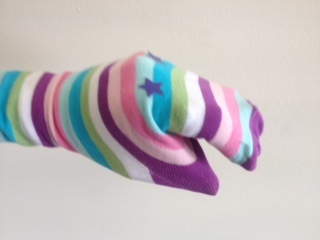 These could be commercially available ones, ones made out of socks, or just using your hands to "talk" as though they were puppets. You can draw eyes on the knuckles first, or use stickers as eyes, if you like. There are three reasons for counting syllables like this. Firstly, puppets are more fun than tapping or clapping. Secondly, syllables are mouthfuls of sound, so it makes sense to use something that has a "mouth" when teaching children the skills of identifying and counting syllables. Puppets (hopefully, like people) keep their mouths closed when they are not talking. Each time a puppet says a syllable, it opens and closes its mouth once. You can watch this, and count how many times the mouth opens and closes. So a puppet with a mouth is just a more relevant way to teach counting syllables than tapping or clapping. Triphthongs: your mouth starts in one position but then moves to two other positions, so they are technically three vowels. 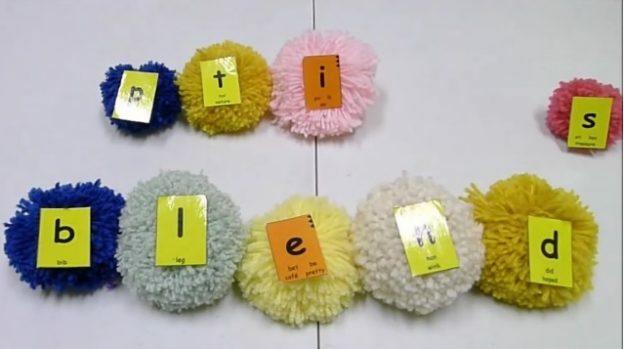 This entry was posted in Fun, phonics activities, syllables, teaching strategies, vowels on February 1, 2013 by alison.